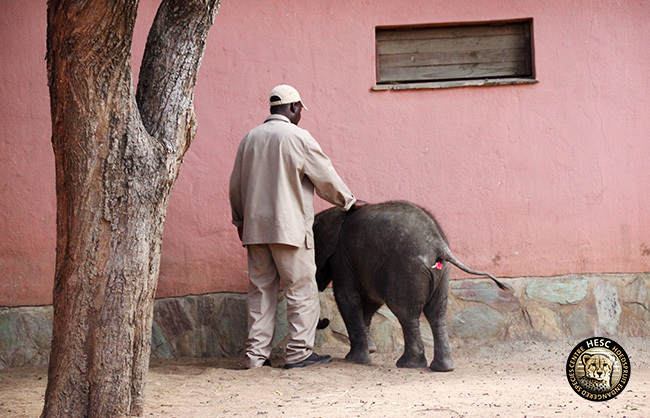 A while back Shawu’s carers noticed him frequently stepping on his trunk and also unusually swinging it around or bumping it against objects. We were unsure whether this was just the result of excessive itching or whether something else was bothering him. The initial treatment procedure was conservative, and he was put on antibiotics, additional vitamins and treated symptomatically. Just when we thought he was getting better and drinking stronger again, he started showing signs of an itchy trunk and was drinking less again. There were also changes in his stools, which was either too stiff or too loose. In an effort to figure out what was bothering him, and to eliminate other possibilities such as ulcers or a foreign object being stuck in his trunk, Dr Rogers suggested that an ultrasound be done. We were fortunate that Dr Johan Marais (from Saving the Survivors) was in town attending a conference in Skukuza, and he kindly agreed to assist with an endoscopic examination. 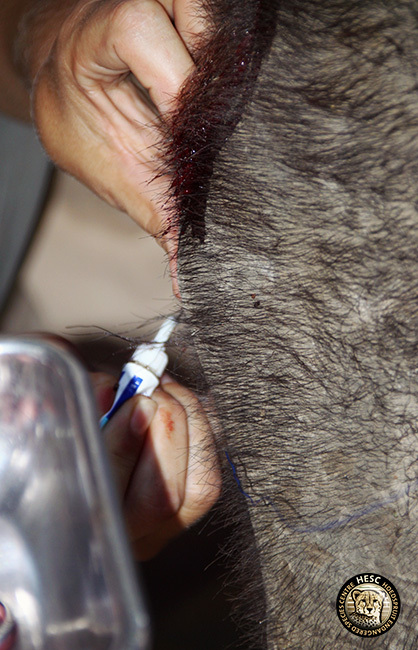 Dr Johan and Dr Zöe Glyphis (also from Saving the Survivors), joined Dr Rogers on the 14th of February when he darted Shawu, and they did the endoscopic examination under standing sedation. 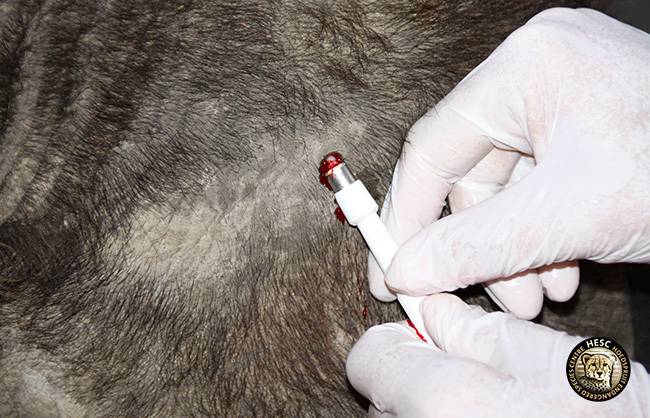 Blood samples were also collected to test for possible infections. Both channels of his trunk were examined using the endoscope and to our great relief, nothing out of the ordinary was found. However, when his mouth was examined it was discovered that he may in fact be teething. 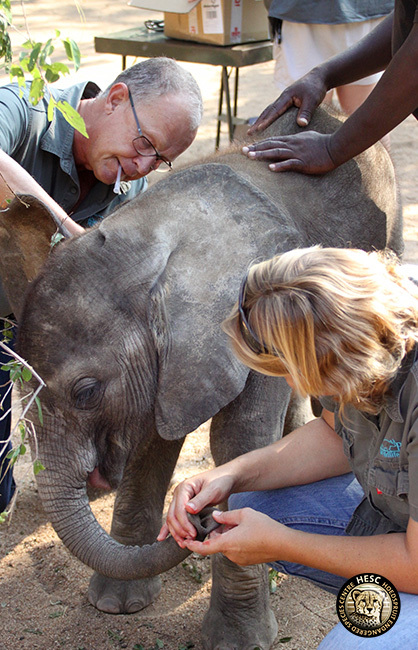 From the basic research available on this subject, it seems young elephants can have a hard time when teething – teething can trigger fever and diarrhea which can be life threatening, plunging the calf into rapid physical decline through dehydration. 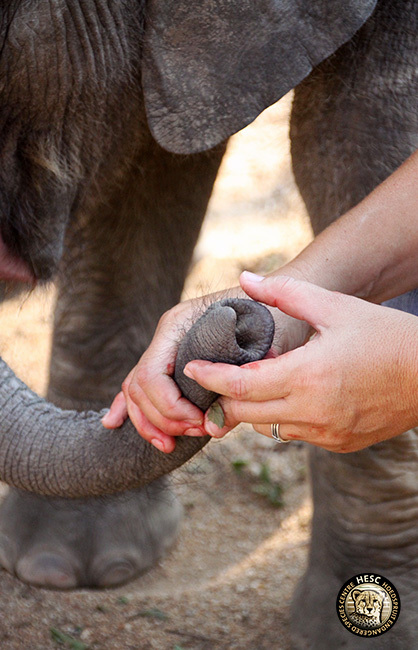 In order to prepare for what we may possibly face in future, our Advisory Committee has decided to further investigate the impact of teething on young elephants. Although Shawu was cleared during the procedure and his condition seemed to improve, only 10 days later he was again exhibiting the same symptoms. When his blood results returned, Dr Rogers suggested that a blood transfusion be done to boost Shawu’s plasma. 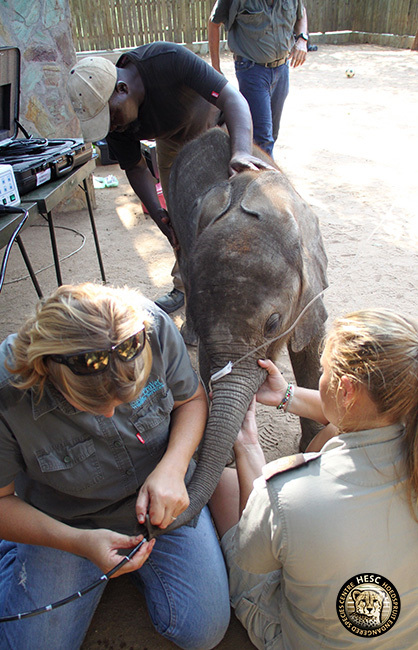 Blood was drawn from one of the adult elephants at Camp Jabulani, and Shawu had the transfusion – read here. Shawu is doing well at the moment. He is under the ever-watchful eye of all his carers and they will continue to ensure he receives the best care possible. Wonderful calf. I hope everything will be fine. Great work taking care of the very important baby Shawu!